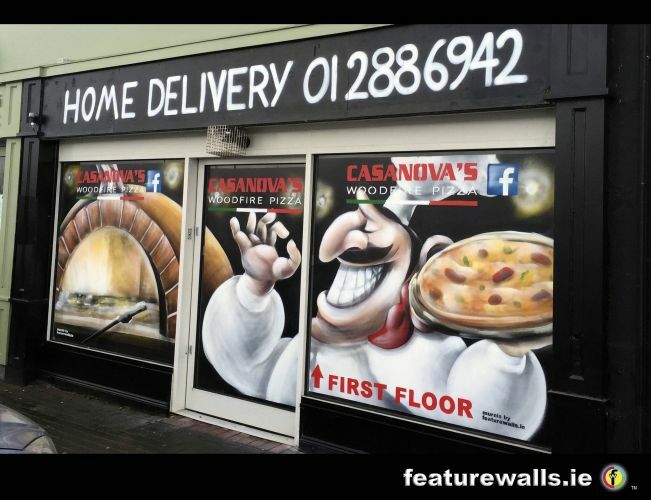 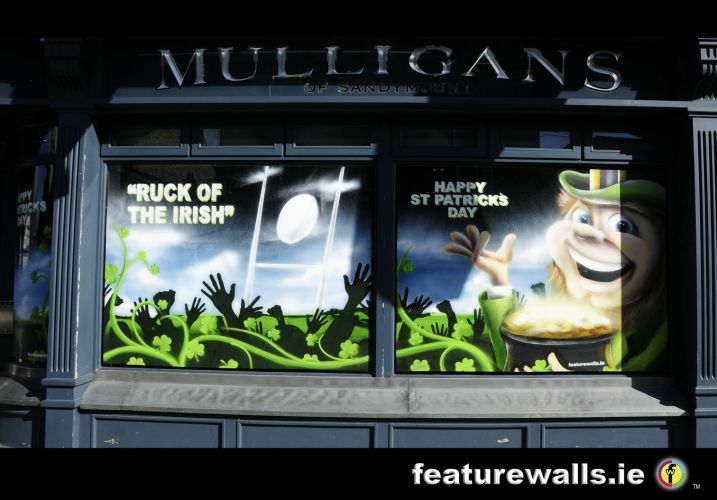 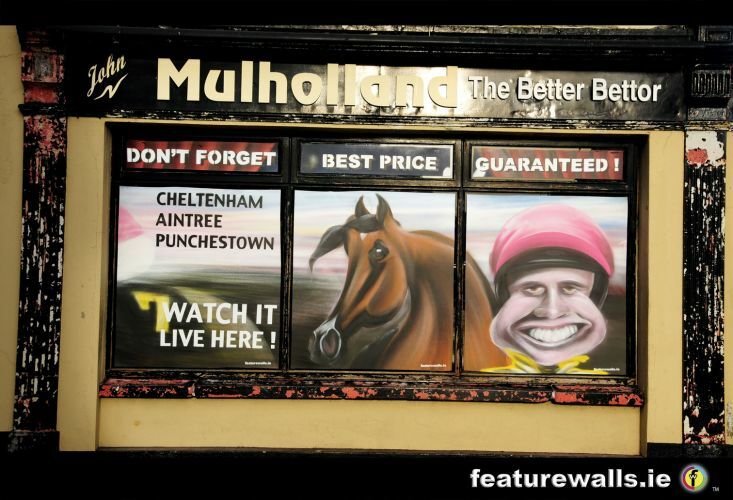 featurewalls.ie offer not just pubs and restaurants a window painting mural design service for window advertising. 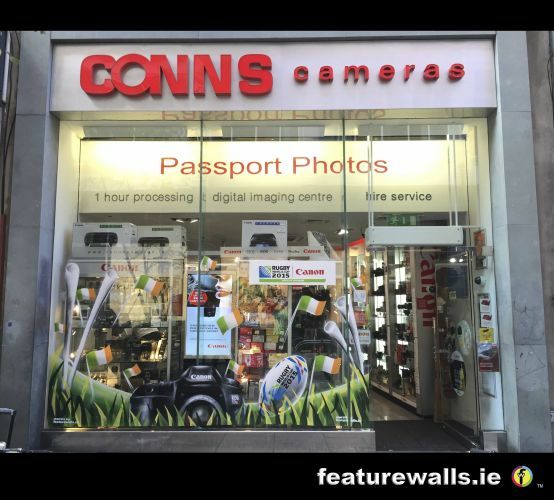 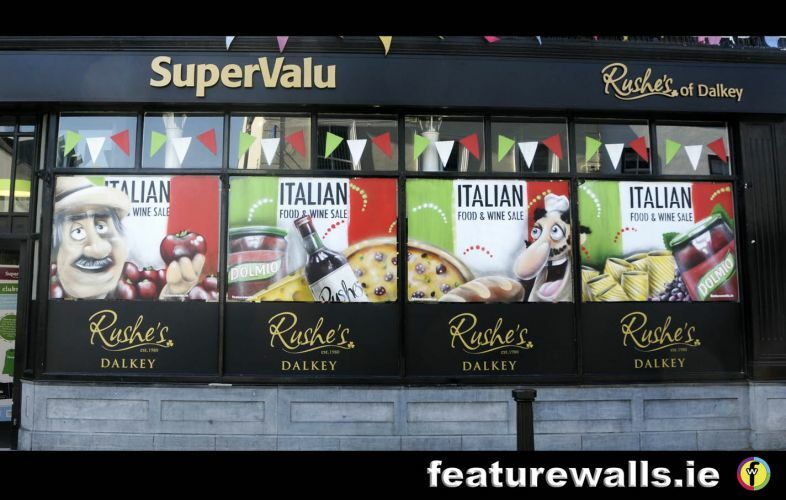 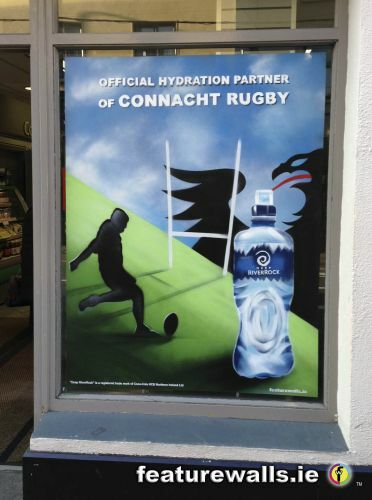 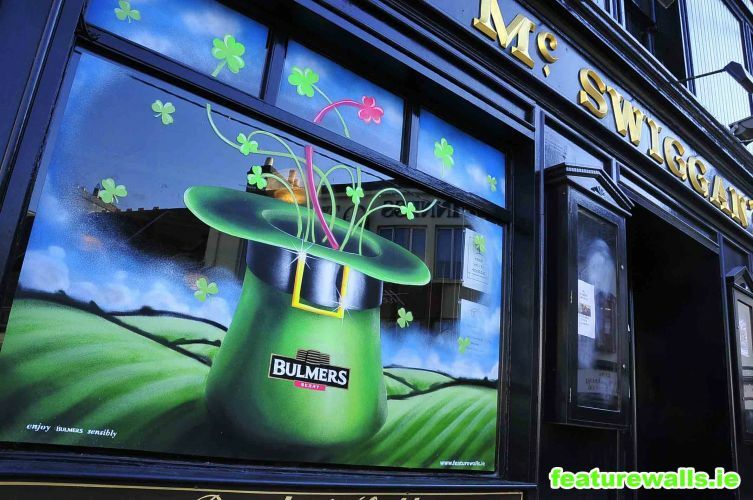 We have handled extensive window painting campaigns on behalf of many large drinks companies around the whole of Ireland including Guinness, Heineken, Bulmers, Harp & Budweiser. 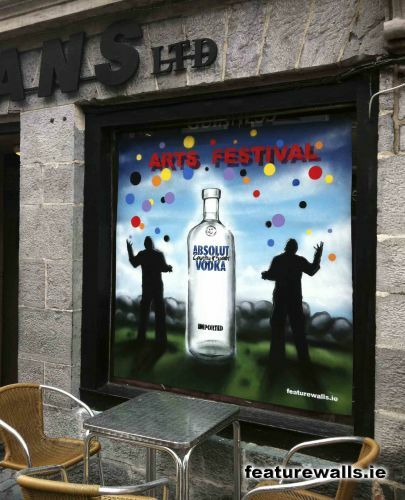 Our Artists always draw a crowd when the window painting is in production, and each window is a live art installation. 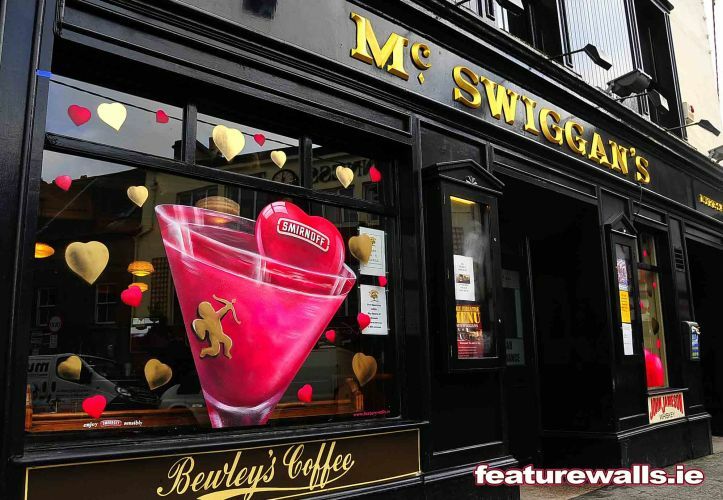 People stop take photos and blog about it and tell their friends, its a great viral way to integrate a brand. 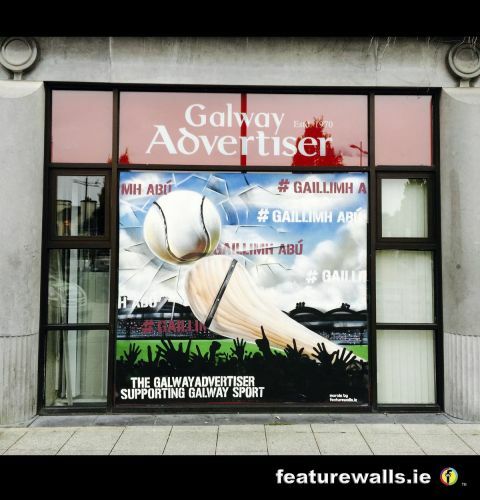 Comedy festivals, sporting events, arts festivals, the Galway Races & the Galway Oyster Festival are some of the many promotional window painting contracts we have handled over the last 20 years. 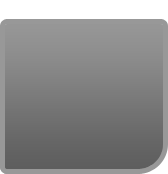 The window painting technique we use is quick to install as we use spray paint directly on to the exterior glass window surface, and this when dry, is relatively easy to remove from the glass with sharp multi bladed scrapers. 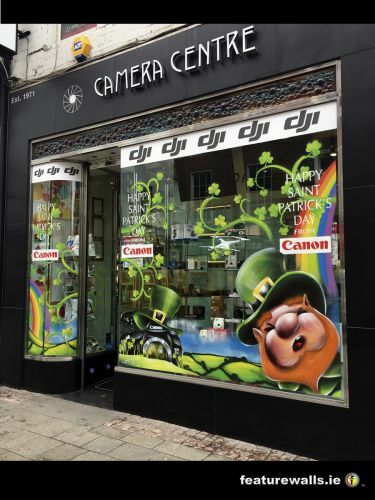 Please be aware that it is the clients' responsibility to have the window glass ready for painting (i.e cleaned and free of any advertising decals/stickers) and also the removal of the finished painted artwork. 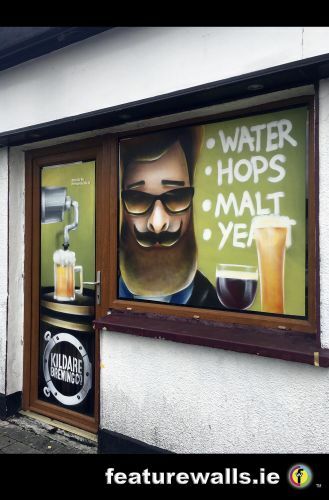 N.B We don't recommend our temporary window painting for any perspex or clear plastic windows or over any decals as they are not compatible with the paint we use.